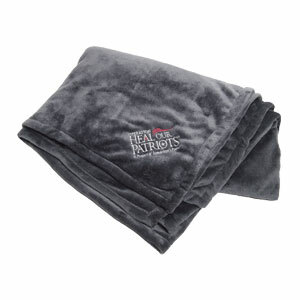 You won’t be able to resist curling up on the couch with this Lands' End velvety soft blanket, embroidered with the Operation Heal Our Patriots logo. Made from a brushed fleece fabric, this throw is both anti-static and anti-pill, so it will retain its brand-new look and feel. Dimensions: 50" x 72"